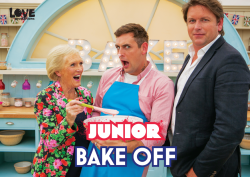 40 of the country's best young bakers tackle cakes, biscuits, pastry and bread as they try to prove themselves to Queen of Cakes Mary Berry and award winning pastry chef James Martin in an attempt to become this year's Junior Bake Off Champion. 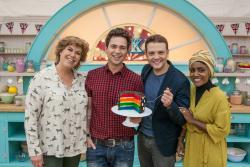 In each show they face two challenges - a technical test and an invention bake where they can let their imaginations run wild. From outer space to wild animals and sports to chocolate... No matter what the theme all the bakers must deliver a show-stopping, mouth watering creation.